LeanModal.js is a small script but with nice effects. 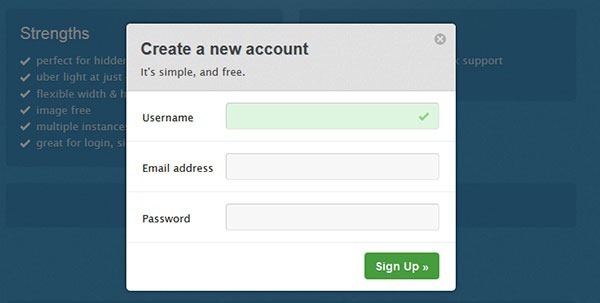 You can use as a pop-up window login/signup or just a simply popup window with any message. 2. Include the following overlay style block in your existing stylesheet. 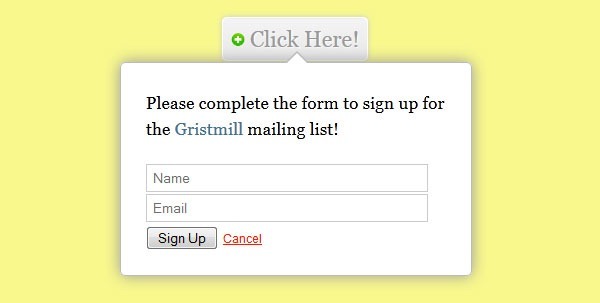 Additionally, be sure to hide your modal element with ‘display: none;’ (although that probably goes without saying). 3. Call the function on your modal trigger, as follows. Be sure to set the href attribute of your trigger anchor to match the id of your target element. PopBox is a simple balloon UI element. 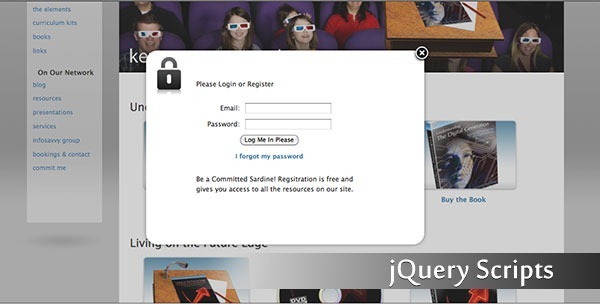 Lightbox_me is an essential tool for the jQuery developer’s toolbox. 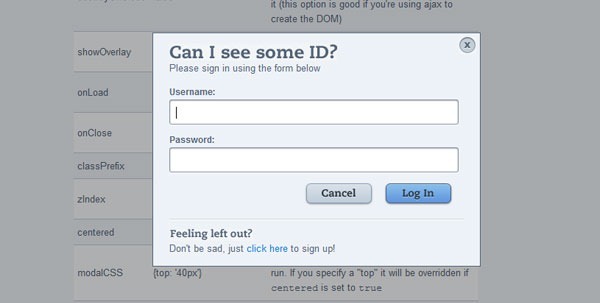 Feed it a DOM element wrapped in a jQuery object and it will lightbox it for you, no muss no fuss.